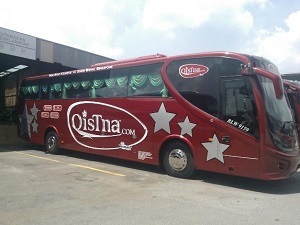 Star Qistna Express is famous to provide bus service departing from Little India, Singapore. Their popular route is included bus from Singapore to Kuala Lumpur, Genting Highlands, Sg. Petani, Butterworth, Ipoh, Taiping, Kuala Perlis and many more. There are few buses type of options offered by Star Qistna Express to passengers: SVIP, SSVIP28 and SVIP-14. Passenger can even enjoy a TV programme on the travel journey, as well as there is power plug available to passengers.